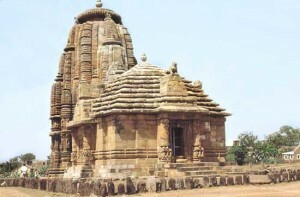 Dating back to the 11th century, the Raja-Rani Temple is an elegant example of great finesse in temple art and architecture. The sensuous beauty of the female form and the filigree sweetness of flowers and fruits are enhanced by the artiste’s dexterous skill. This entry was posted in Orissa, Rajarani. Bookmark the permalink.